The modern version of the three wheel automobile has taken a decidedly sporty approach (with the exception of the Elio...which will probably never actually be sold in any decent quantity) with things like the Slingshot and the Campagna T-Rex...but it wasn't always this way. There was a time when a three wheeler was just a single performance step above a bicycle. 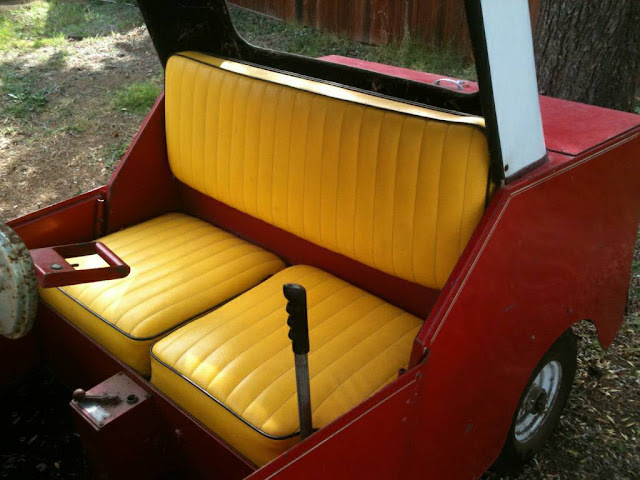 Find this 1967 Sports Rider by Kelsen Manufacturing offered for $2,000 in Petaluma, CA via craigslist. Tip from Rock On! 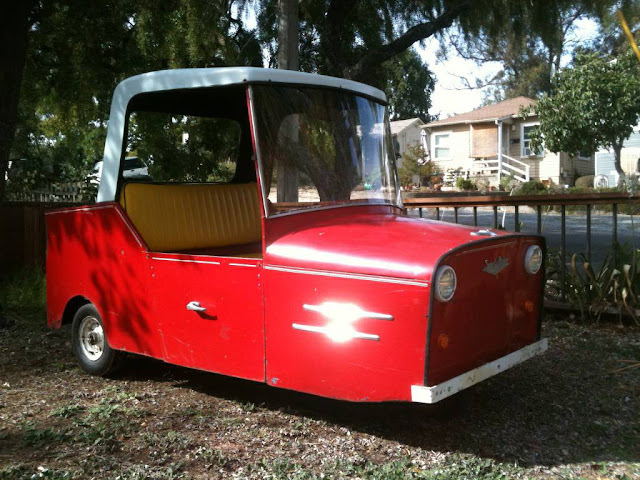 1967 Sports Rider by Kelsen Manufacturing, Long Beach, CA 3-wheel, 24volt Electric, Low-Speed, Street-Legal Micro Car. Has Four Brand New Interstate Deep-Cycle Batteries Installed Has headlights, Taillights, Turn Signals and a built in charger. It will plug into any 110v standard household electrical outlet. Runs, Drives, Stops but don't expect it to keep up with traffic. Very close in appearance to the B&Z Electra King from LB,CA. This was a beach boardwalk rental car in southern California. Has some dents, dings, scratches and bondo. Not original paint. Rear bumper removed but I have it here. Not shown in photos. Clean Title in hand, in my name and on non-op with DMV $2000 Update: It will fit in the bed of a pick up and I can help load. You won't need a trailer but you'll need to bring your own straps. Yikes. Looks like the illegitimate offspring of a golf cart and a Reliant Robin.